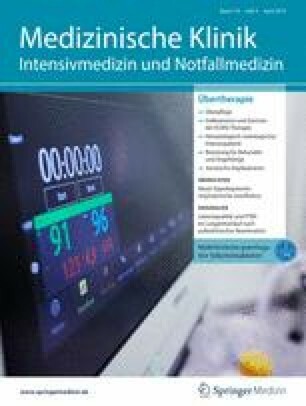 Ist eine Beutel-Masken-Beatmung vor der endotrachealen Intubation bei Intensivpatienten sinnvoll? Casey JD, Janz DR, Russell DW, et al., for the PreVent Investigators and the Pragmatic Critical Care Research Group (2019) Bag-mask ventilation during tracheal intubation of critically ill adults. N Engl J Med. Feb 28; 380(9):811–821. https://doi.org/10.1056/NEJMoa1812405. Is bag-mask ventilation before endotracheal intubation in intensive care patients useful? C. Adler, U. Janssens und G. Michels geben an, dass kein Interessenkonflikt besteht.